Boat Joomla templates designed by OrdaSoft are based on Joomla 3.x and Vehicle Manager PRO component and modules (Search module, Slideshow module, Featured Module, Touch Slider and Similar module). These luxury Joomla templates are specifically tailored for display luxury yachts, boats, sailing yacht, yacht companies and even yacht charters. By installing Quickstart package of the yachting Joomla templates you will get completed website that is ready for use. 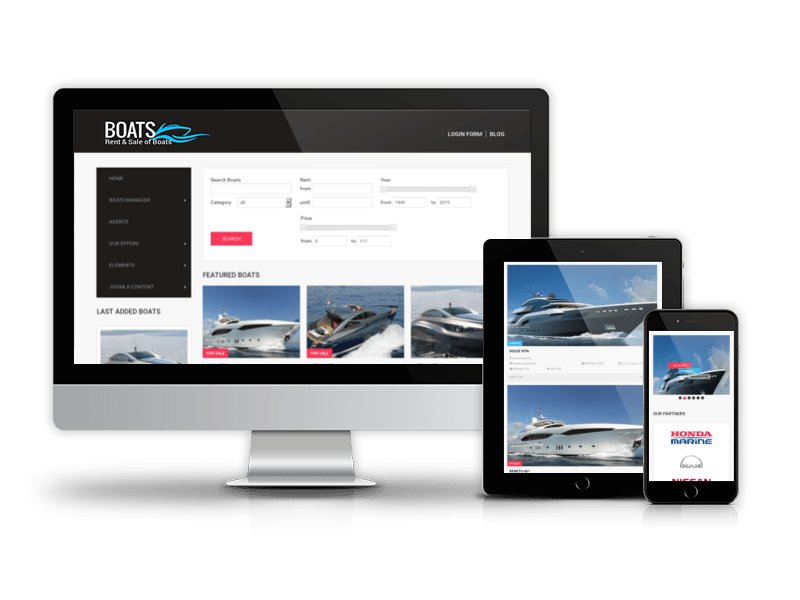 A strong accent to the product details and beautiful design will make your yachts website stand out from the crowd. 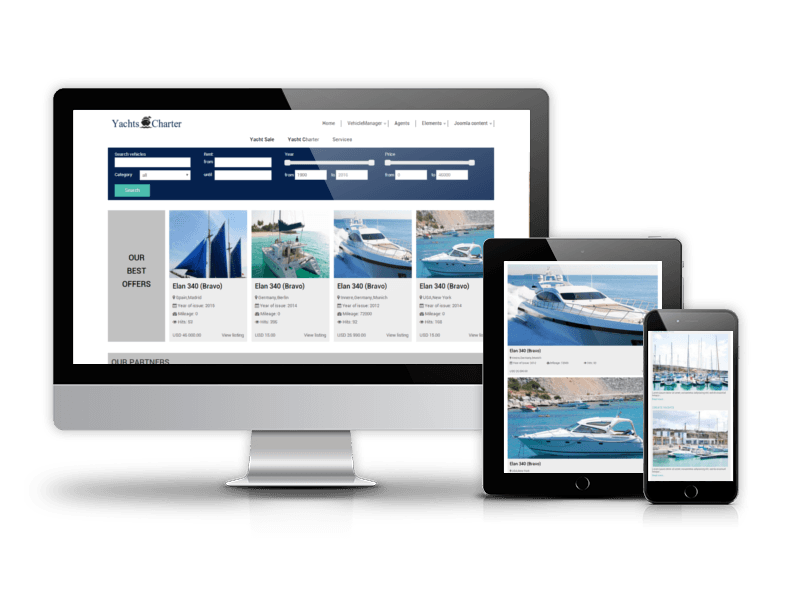 If you are looking stylish and functional marine Joomla template for selling and renting any kinds of boats and yachts, grab one of these gorgeous yachts website templates.